Protect your inboxes from spam, viruses, phishing, harvesting and other malware attacks by botnets and spammers. Our Cloud-based filtering servers ensure your service always runs smoothly. Using an advanced in-house IP-reputation system, combined with message content classifiers, our email filtering has an accuracy of 99.98% for all inbound spam. Get an added layer of protection in the unlikely event of an issue with our servers. Our inbound spam protection system means your email will continue to be accepted, queued and then delivered as soon as the servers are back online. 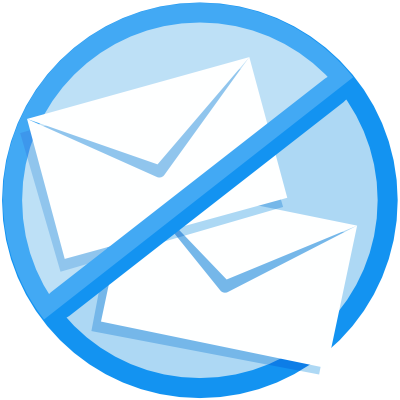 Our inbound email filtering system removes the need to deal with large volumes of unsolicited emails. It saves on server load and infrastructure resources by securing your network from all email threats, giving you a more reliable service. SPAM has become a major problem in recent times with mails constantly attempting to extract money or install viruses. This anti SPAM service stops these threats in their tracks. How many email addresses will this cover? Once installed, the anti SPAM service from LetsHost will cover all email addresses at your domain name with no limits. Will this block out all spam emails? What happens if a legit email is marked as spam? The daily report will contain this mail which you can whitelist for the next time. You can also "train" the filter not to make the same mistake again. This rarely happens however. Does SPAM cost me anything?